At Daytona Air Conditioner, our dedicated staff of certified technicians and project managers have worked with countless small and large scale businesses to aid in all areas of commercial HVAC, from creating original designs, to their installation and build, and well into the future with careful inspection and maintenance to ensure longevity and a healthy return on investment. Our careful attention to building long lasting partnerships founded on great service and low rates allow us to be a leading provider in the market place. Our passion for this industry is completely centered on giving thoughtful attention and purposeful action to every client as we assist them in bringing their ideas into reality, reducing their costs and energy usage, and ensuring a safe and ecologically friendly operations. We have provided commercial air conditioning, heating, and ventilation services for businesses and industrial complexes all over central Florida and beyond, and are yet to come across a project that is too large or unique for us to handle, and to a great job on. So don't hesitate to give us a call today and we will gladly discuss your potential projects and lay out estimated costs, benefits, and possible ROI. One area we assist in that we have found can be potentially difficult or overwhelming for those starting out or expanding their own commercial property, is in the initial layout and design of a new office or manufacturing facility, especially if one is not totally familiar with the building process, codes, and needed equipment. 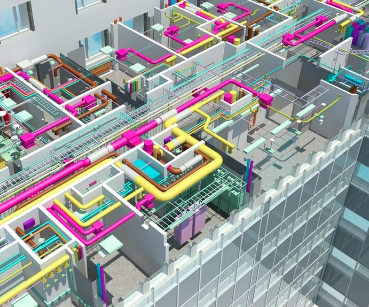 Fortunately our company is equipped with many experienced HVAC design consultants, who can come onboard and aid in creating maps and duct plans that allow for maximum efficiency, while also taking care that all designs accommodate your specific spacial and usage needs. With many successful projects completed to date we are confident that we can provide great guidance and solutions in the early development stages of your project. We always pursue excellent and cohesive teamwork, that will leave all parties involved with thorough and tailored results. On the other side of things, if what you need is reconstruction or to repurpose an old space, our retrofit capabilities could come in handy. Our crew has experience in replacement services for all major systems, regardless of original equipment or atypical constraints. We have come up with some pretty creative solutions in the past to get around structural obstacles and unusual floor plans, and we will be sure to get what you need done as well. Whether you are working on new construction from the ground up, or bringing a well aged building back to life, utilizing our prefabrication abilities can be an excellent way to cut back on cost and time. The other benefit of this is increased part quality by reducing in-field fabrication, which isn't always as stream lined. 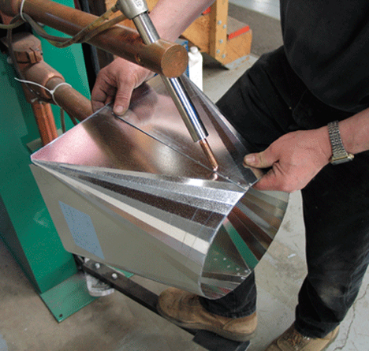 Our craftsmen will utilize an in house progressive sheet metal fab shop to follow specs to a T, and quickly deliver all parts ready to be installed immediately. Once your heating and cooling systems are up and running smoothly, you can not only elect to have reoccurring preventative maintenance to keep things in check, we also offer an asset tracking program which will closely monitor your equipment investments to make sure absolute efficiency is achieved and that your facility is on track to reach financial savings goals. There are numerous specific services that we offer when it comes to commercial air, a few of which are included in the following, but many are not listed so if you don't see what you are looking for, give us a call and certainly we will have something that fits your needs. 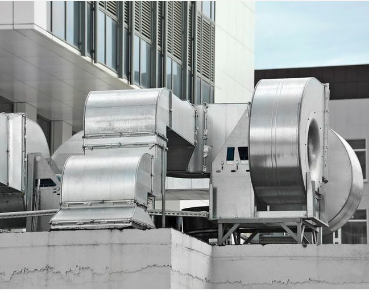 We can provide energy recovery ventilation, in which waste heat, typically from exhaust, is collected and repurposed for efficiency. Computer room cooling, for more tech heavy companies with large server storage. 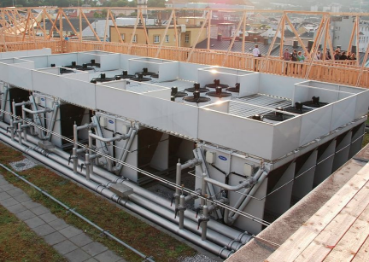 Hot water and chilled water cooling plants, roof or slab mounted central air handling stations, and exhaust systems for all toilets, kitchens, smoke producers and the like. Also serviced are two and four pipe fan coils, as found in most apartments and hotels. And Finally we provide solutions like variable refrigerant flow (VRF), which allows for zone control to account for occupancy and building layout. For all questions concerning your next upcoming project or present needs, call the number above or below and it would be our pleasure to work with you on finding the best solutions at the lowest possible price!